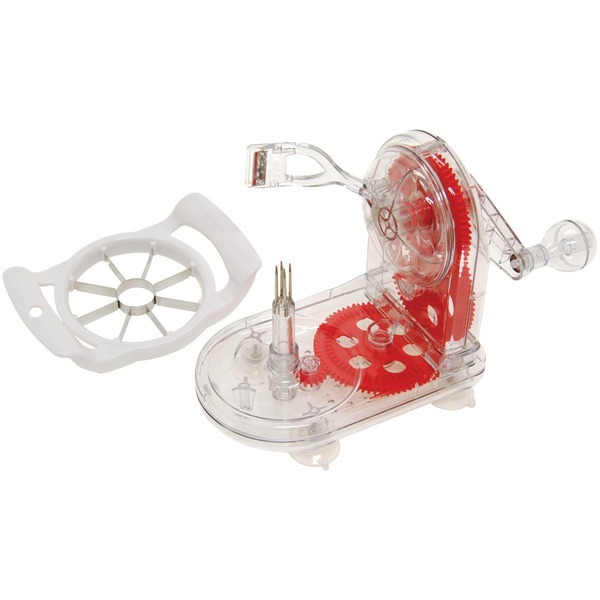 Cut homemade french fries for the entire family in minutes with the Sportsman Series Commercial Quality French Fry Cutter. 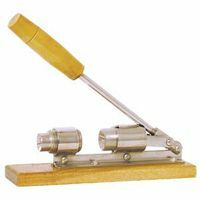 This cast iron French Fry Cutter mounts to a wall, counter or tabletop to cut potatoes up to 6 inches long into 3/8 or 1/2 inch wide strips. Two stainless steel cutting attachments are included, one for thick and one for thin cut fries. 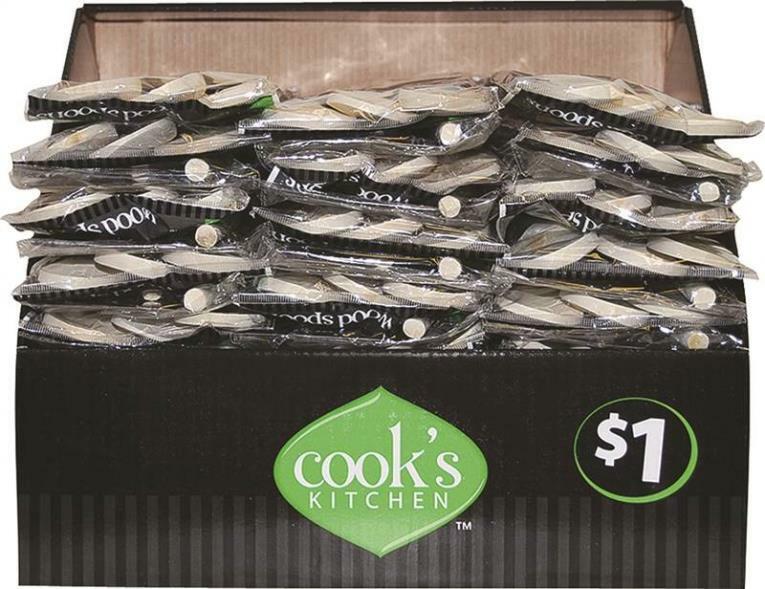 In no time at all, you can cut enough potatoes to feed the entire family. You can even make sweet potato fries to bake as a healthier option. You can even make sweet potato fries to bake as a healthier option. 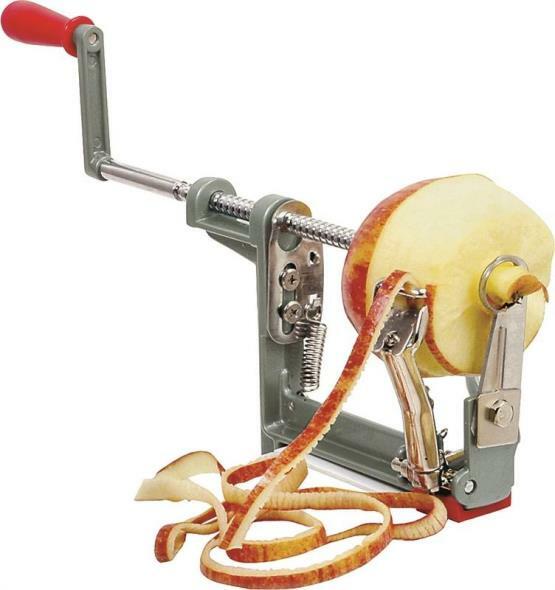 The French Fry Cutter can cut fruit and veggies too, making them more fun for kids to eat. Cut carrots, zucchini, cucumbers, pineapple, and sweet peppers into thin strips that little hands can easily grab. 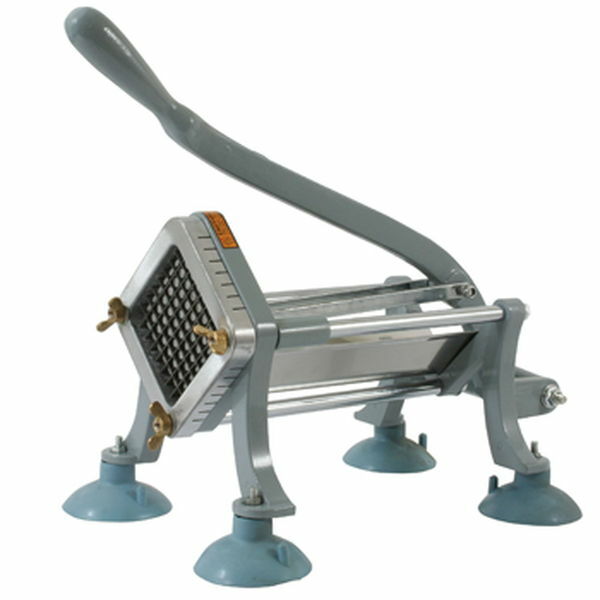 Suction cups are included to give the French Fry Cutter stability on countertops and tabletops. 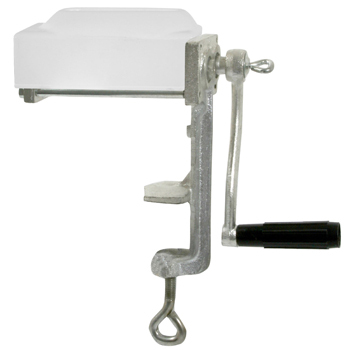 The large, heavy duty suction cups bolt on so they stay put, or can be removed so the French Fry Cutter can be mounted permanently horizontally to a flat service or vertically on a wall. Save money on you family's grocery bill with the Sportsman Series Meat Cuber Tenderizer. The Tenderizer brings out the flavor of your favorite meats and tenderizes tough cuts of meat without pounding. So you won't wake the dead pounding out a flank steak. Now you can buy cheaper cuts of meat at the butcher's counter, and still cook delicious meals for the family. 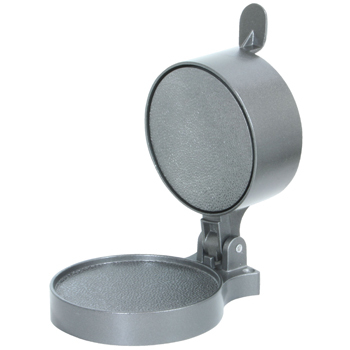 The Tenderizer is made from durable cast iron, and can prepare meat up to1/2 inch thick. 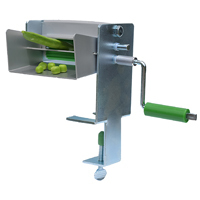 The clamp-on design will attach to your table or counter top. Make perfect patties every time with the Sportsman Series Aluminum Hamburger Press. Save money by making your own hamburger patties from ground beef, turkey or venison. Add you own seasoning and spices to make them just the way you like. 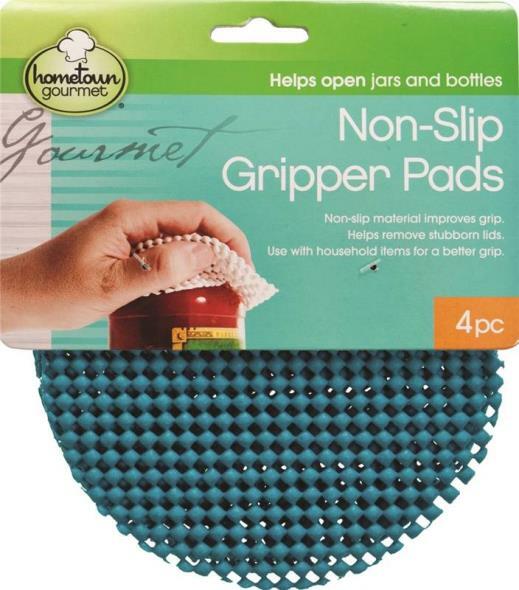 The non-stick surface keeps burgers from tearing apart and makes cleanup fast and easy. Make homemade jerky snack sticks and sausage. 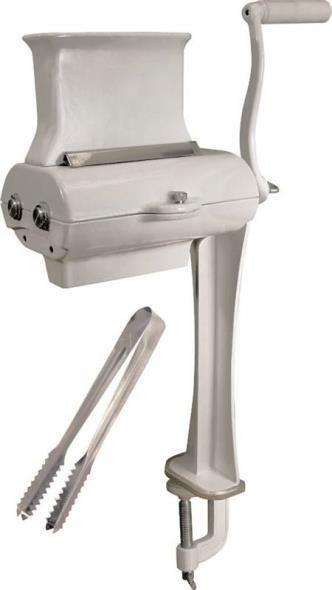 Original Jerky Gun includes two jerky attachments; aluminum tube holds up to 1-1/2 pounds of ground meat; includes sausage funnel and stomper; components are dishwasher safe. 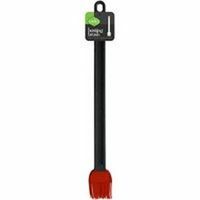 Includes 2-piece cleaning brush set. This item cannot be shipped to APO/FPO addresses. Please accept our apologies. 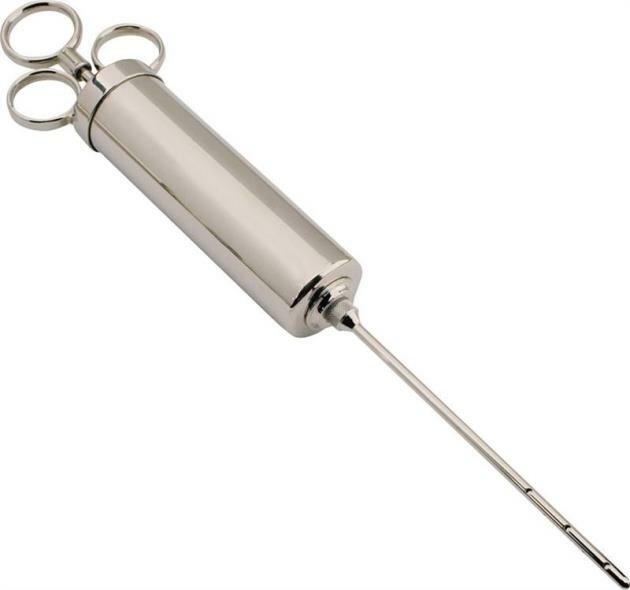 Use the Stainless Steel Sausage Stuffer to make your own summer sausage and snack sticks. Use your own casing for homemade pepperoni, bratwurst, and sausage. Add your own spices and seasonings to make each recipe just the way you like it. Great for any home butcher or hunter. 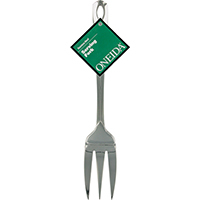 The heavy duty, 5 lb capacity design secures to your table or counter top. 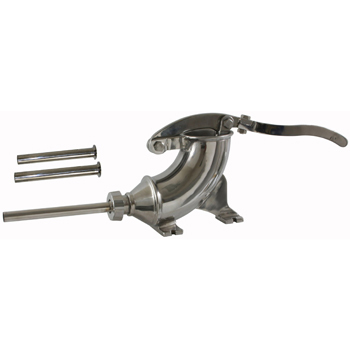 The Sausage Stuffer is made of stainless steel, making it easy to clean and resistant to corrosion. The two-piece handle is detachable for easy storage. 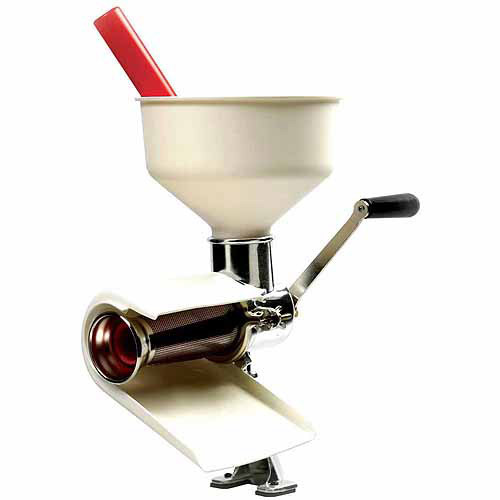 Includes 3 stainless steel funnels to make different styles of sausage. 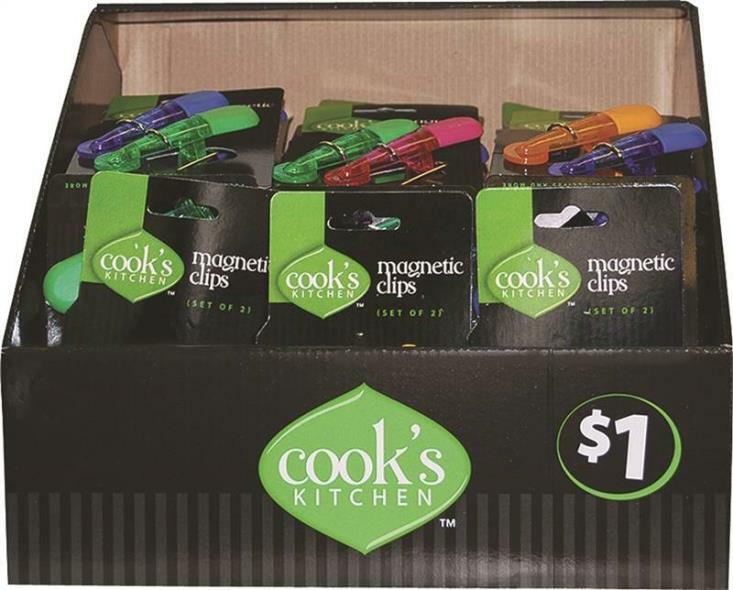 If there's one lesson to take from Alton Brown's classic TV series Good Eats, it's that unitaskers- kitchen tools with only a single use -shouldn't take up precious real estate in your kitchen. And these scoops are no unitaskers. 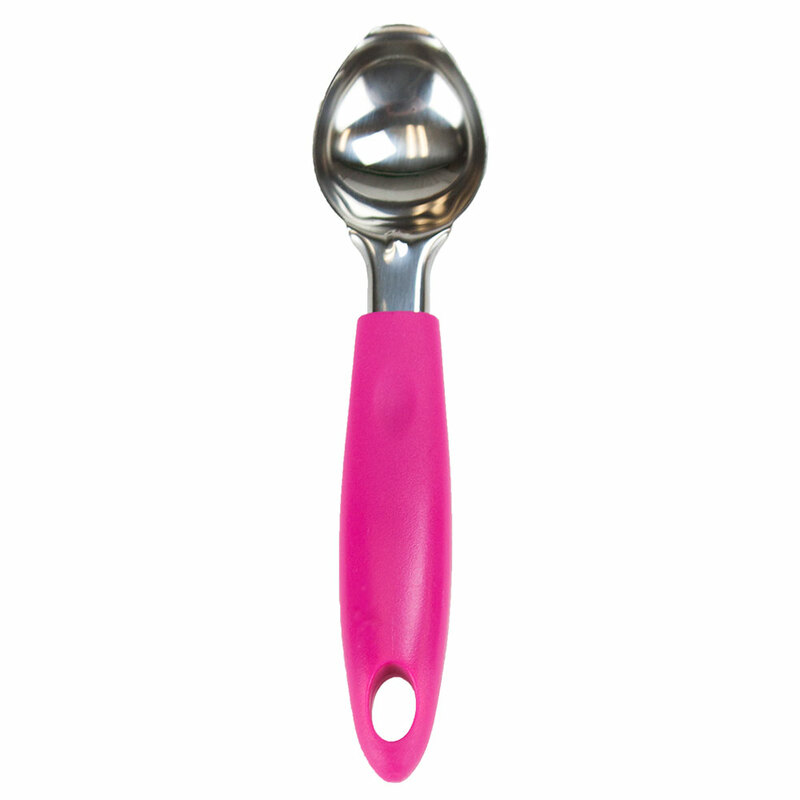 Sure, this tough stainless steel scoop with its cold-engineered pointed lip is perfect for slicing through and dishing out frozen goodness, but the humble ice cream scoop is actually one of the most versatile kitchen tools. 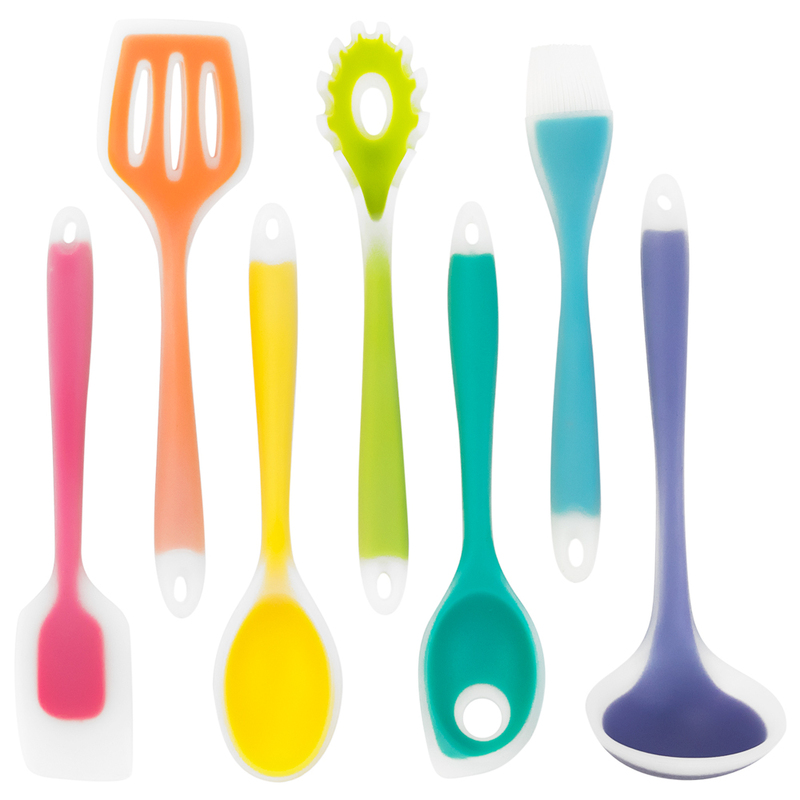 Ideal for creating consistent, uniform portions quickly, try using a scoop to portion cookies, pancakes, muffins or drop biscuits, ravioli filling or chicken salad, or to shape meatballs and mashed potatoes. The possibilities may just actually be endless. Designed with comfort and quality in mind, this scoop features an ergo-grip handle with finger and thumb control zones and a universal design that satisfies both righties and lefties. Our solid stainless steel isn't plated, so it won't discolor, and you definitely won't find metal flakes in your ice cream. Best of all, the steel extends deep into the plastic handle. This tough puppy won't be coming apart after a few tough washes or a few tall sundaes, so get your scoop on. Stock up without breaking the bank when you choose this value-priced tableware. Medium-weight design provides near metal-ware-like performance. Reinforced at common break points to maximize durability. 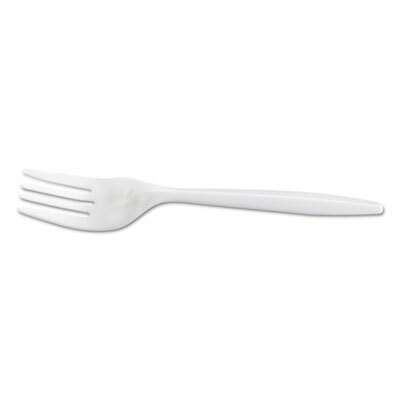 Utensils Type: Fork; Material(s): Plastic; Color(s): White; Grade: Mediumweight.